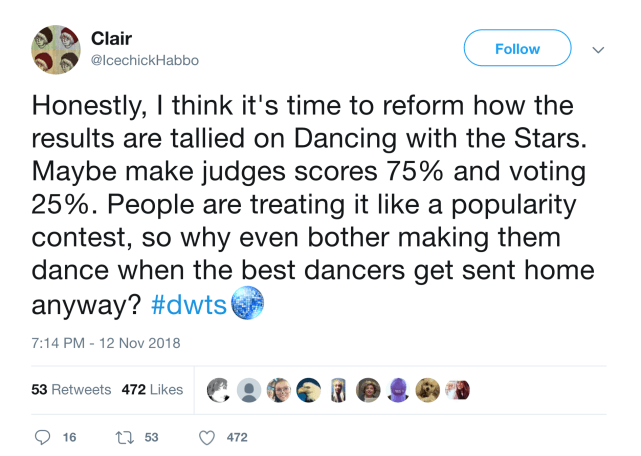 Dancing with the Stars is no stranger to controversy, and much of that stems from the viewer vote saving some of the more marginal performers. 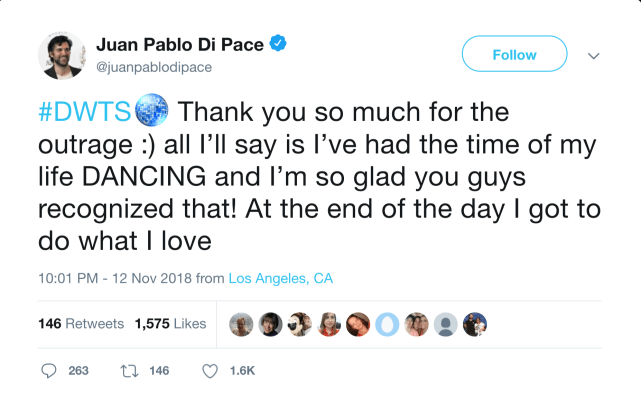 However, Monday night's episode was met with fury from fans because Juan Pablo Di Pace was given the boot after scoring two perfect scores on the night. 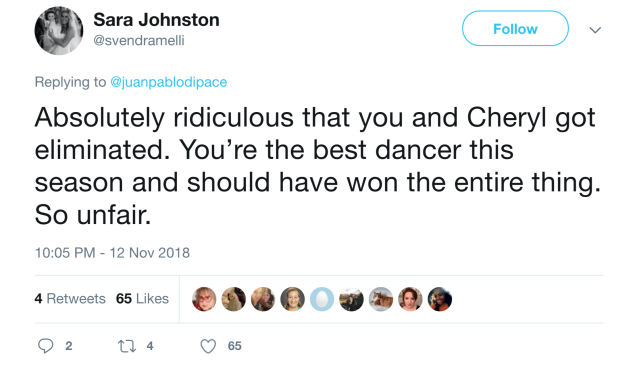 Fans took to social media in the aftermath to vent because it will go down as one of the most stunning eliminations in the history of the series. 1. WTH Is Going On?! Juan Pablo and Cheryl went with the Argentine Tango to "Libertango" from Forever Tango. It won them praise from the judges, and a perfect score of 30/30. They followed that up a sultry Salsa to "Tu Sonrisa" by Elvis Crespo. It landed them another perfect score! However, the pair was sent home at the close of the episode despite being the only couple to get two perfect scores in one night. Yikes. Juan Pablo knew fans were unimpressed with the result, so he thanked them "for the outrage." This Twitter user makes some great points. 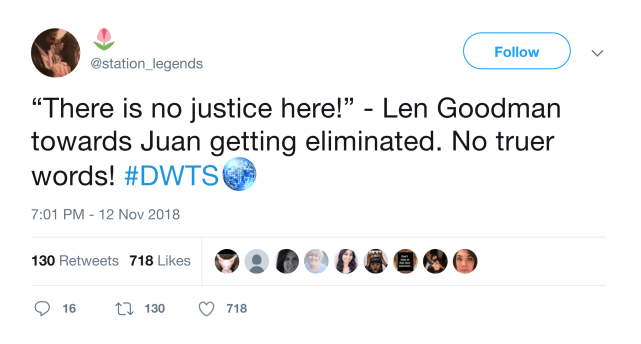 You know something's amiss when Len Goodman speaks in your favor. 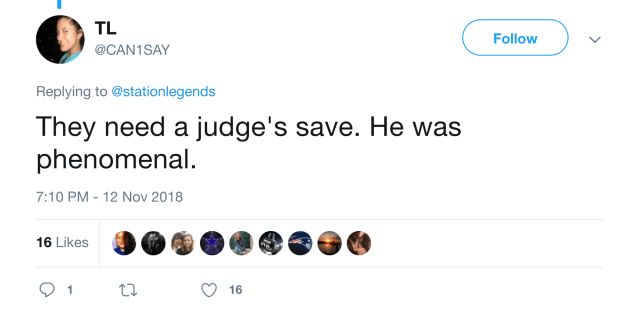 Wouldn't it be great if the judges could save one contestant per season if they thought the result was not the right one? 6. It's Not About Popularity! This Twitter user is right. The voting system needs to be switched up or the show is going to lose credibility.